In a very Dickensian London, Susan Trinder has grown up among thieves. 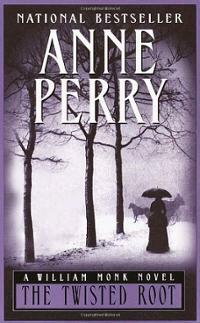 Her mother was hanged for a murderess and is raised by the kind Mrs. Sucksby who owns a baby farm. But Mrs. Sucksby and a man they call only Gentleman has cooked up a plot that will make them all rich. All Susan needs to do is pretend a ladies' maid to a girl called Maud Lilly and convince her to marry Gentleman so that he can then throw his wife into a madhouse and take her fortune. When Susan arrives and begins to feel affection for Maud she must remember her purpose and continue to play the role for which has been hired. This is just the very beginning of the plot, but it's filled with various twists and turns and secrets. I was deliciously shocked a few different times along the way. I hear that this novel is an homage to Wilkie Collins's The Woman in White, which I still haven't gotten to but am sure I will like. For me, it was more like Oliver Twist, with the orphans and poverty and Fagin-like benefactors with illegal businesses. Nobody can be trusted, that's for sure. 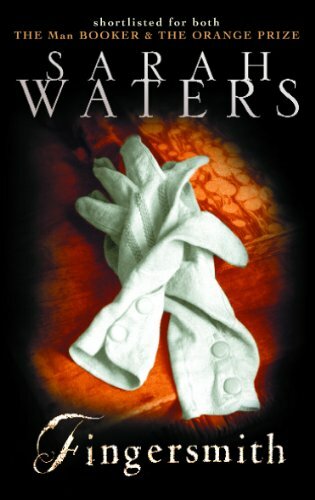 As usual, Waters brought the setting alive with her rich detail and beautiful prose. Reading one of her books is to immerse yourself into another time and place, to really slip into another person's shoes and experience their life. I can't say that I especially liked any of the characters, but a few I could sympathize with. They were all victims of their upbringing or circumstances. All were intriguing though, and there were a few I wish I knew more about. When it comes to Sarah Waters, I think I still liked Tipping the Velvet best so far, but Fingersmith was an excellent and well-told story which I enjoyed right up to its satisfying end. The blog is going through a bit of overdue template updating. Just bear with me through this awkward phase and excuse any weirdness. Like earlier this evening when I inadvertently published a very unfinished draft of a post. Whoopsie. I have no explanation for how that happened except that I was doing a lot of clicking and maybe I got carried away. Please just ignore anything odd, because it will hopefully only be temporary. Soon everything should be pretty! Quentin grew up next door to a girl named Margo Roth Spiegelman and has always had a huge crush on her. Maybe obsession would be a better word. Margo is a wild and adventurous spirit, who has run away more than once and is notorious for her escapades. One night she comes next door and sneaks into Quentin's bedroom inviting him on an adventure to take revenge on several people who have wronged her. The next day, Quentin learns that Margo has disappeared again, but this time he is convinced she has left clues to help him find her, and he is determined to do just that. I didn't really like Margo Roth Spiegelman very much. She kept pulling outlandish stunts to get everybody's attention and running away when she knew everyone would be trying to hunt her down. It was like she wanted everyone's lives to revolve around her, and she too interested in her own antics to pay attention to what was going on with anybody else. You could argue that she really did just want to get away, or that her pranks were more about revenge than attention, but she still came across to me as very self-centered. On the other hand, I empathized a bit because her parents really didn't seem to care about her so I could sort of understand why she would behave this way. But mostly this story wasn't about her anyway. The characters we really got to know were Quentin and his friends Ben and Radar, and I really liked them a lot. Along with Margo's friend Lacey, the group banded together for what is possibly the best road trip I've experienced vicariously through a book. The group was so unprepared that a couple of them weren't even wearing pants, and they certainly didn't have permission to leave town. But they worked together, got themselves organized, and managed to get themselves to their destination on time and with their friendship not only intact, but stronger. Each character had his or her own version of Margo Roth Spiegelman. Since Margo didn't seem to want anyone to know the real her, everyone just kind of filled in the blanks themselves so she was a different person to each of them. Of course, we do this all the time - we don't really know most people in our lives so we make a lot of assumptions based on the bits we do know and our own worldview. It's just a bit more exaggerated with Margo because she deliberately hides a lot about herself. I found this aspect of the novel quite fascinating. In a way, Paper Towns reminded me a bit of Looking for Alaska. Boy crushes on girl he knows little about, girl is gone, everyone tries to figure out what happened to girl. 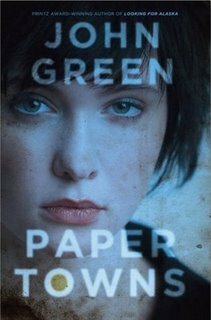 But that is where the similarities end and although I really liked Looking for Alaska, I liked Paper Towns much more. As with any John Green novel, the characters are witty and smart but still manage to be believable as teenagers. Quentin and Ben spent hours playing a video game called The Resurrection, while Radar obsessed over updating the Wikipedia-like site Omnictionary. They could be selfish and impulsive, but were decent kids who you know are going to turn out all right. Because I listened to the audio version, I can't share the many clever and funny quotes from the book. (I do have the ability to bookmark on audible, but it's not as easy to go back through as with a paper book.) You'll just have to read it yourself. Or listen - the audio is quite enjoyable. And now I realize there's no John Green left for me to read, so he better get cracking on his next book. It's bad enough that Kenzie's father has died unexpectedly, but when she is still reeling from the tragedy she learns that she is pregnant. Her disappointed mother is so ashamed she sends Kenzie to Spain where she will live among strangers for the duration of her pregnancy before giving up the baby for adoption. Kenzie is sullen and uncooperative, which is understandable given her situation. She is all but lost in Spain, young and alone and pregnant in a foreign country. It must be very disorienting. Not to mention that she must feel so unwanted by her mother and her boyfriend, and still missing her father terribly. She slowly warms up to the strange group of people with whom she is living. The owner of the house where she is staying is Miguel, and his cook Estela becomes sort of a mother figure to Kenzie, trying to teach her to cook and also to help her search her own heart and decide what she wants. Kenzie is also intrigued by the mysterious young Estaban and his birds, and the band of gypsies that Estela tries hard to avoid. The writing is spare and a bit ethereal, a few details carefully chosen to evoke the atmosphere. Quotation marks are used infrequently in conversations, adding to the feeling of unreality. The effect was a beautiful style not usually found in young adult literature. 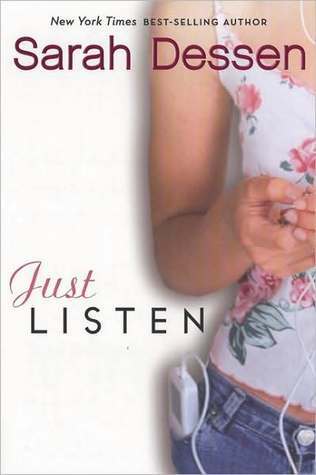 Although I could absolutely see some teens liking this, I think an adult who didn't know it was marketed to teens wouldn't recognize it as a young adult book. A lot is left unsaid, and we get only glimpses of Kenzie's life before Spain. The decision that brought her there was unclear; we know it was her mother's choice, but how much did Kenzie protest? We also see only a snippet of her conversations with the baby's father. We know almost nothing of her life and future plans before the pregnancy, except that she had an apparent interest in filmmaking which somewhat parallels her father's work as a photographer. I believe the whole story took place in just a few weeks, which seems short for how important Kenzie comes to be to Estela and the others. She was so instantly drawn to Estaban in what seems to be a romantic way, which I found a bit odd given her situation. I would think romance would be the last thing on her mind. Still, I can see why she would be intrigued by him, and he was the only person around who was close to her age. I liked watching her relationship develop with these strangers who took her in so selflessly and made her a part of their family. 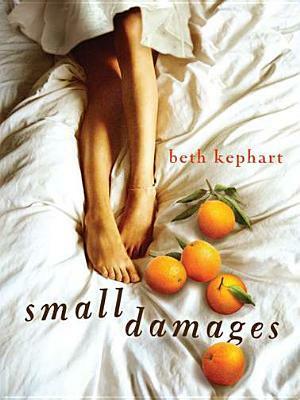 Small Damages was a short little book. It was close to 300 pages but there was little text on each page, plus the writing style made it flow pretty rapidly, and I read it in under 24 hours. I don't think this story will really stick with me, but it was a short, lovely, atmospheric trip to Spain. Firmin begins his story by quoting the opening line of The Good Soldier by Ford Maddox Ford: "This is the saddest story I have ever heard." This is my second time reading Firmin's story and it's still one of the saddest books I've ever read. But in a good way, a way that makes me smile often and wonder why nobody else seems to love this book the way I do. Firmin is born in a bookstore, part of a litter of 13 rats. He was the runt, always having to wait until his siblings finished eating before he could have access to his mother. One day though, his mother went out and didn't come back, and Firmin was pretty much on his own. The litter split up, but Firmin stayed in the book shop where he learned to read and this soon separated him from other rats forever. He identifies more with humans, but to them he is just a rat like any other rat. 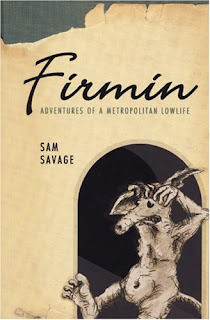 His attempts at befriending the bookshop owner backfire, but eventually Firmin is taken in by a failed science fiction writer named Jerry who never really understands Firmin, but is still willing to be a friend. Firmin is quite possibly my favorite literary character. Rats are misunderstood creatures to start with, and Firmin is even more so because he's not a typical rat. All he wants is for humans to accept him and be his friends, but they have no idea what he's like. He can understand them, but they can't understand him. Firmin sees beauty in everything, sees good in the most unlikely people. Jerry is one small step away from homeless, a heavy drinker full of crazy ideas, but Firmin thinks he's the smartest man in the world and loves him because he's so kind and generous and is willing to be his friend. Firmin really thought of them as a pair. When describing their dinners together he said, "Our favorite was Dinty Moore beef stew." Then he mentions they would just eat rice and soy sauce "when we were short on cash" as if he normally brought cash home as well. The way Firmin viewed their relationship was just so touching. Even though Jerry didn't understand the extent of Firmin's intelligence, he appreciated how different he was. 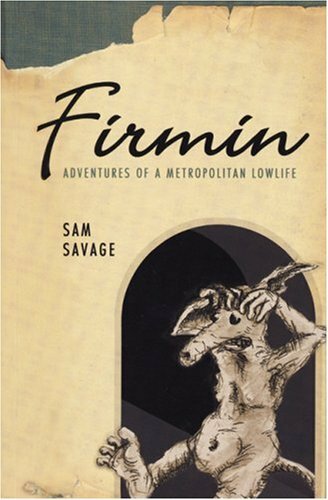 When a friend asked if Firmin was tame, Jerry answered "No, man, he's not tame - he's civilized." At one point in the story, Firmin is so desperate to communicate with humans that he tries learning sign language from a book he finds in the book shop. Of course he doesn't have the manual dexterity of a human, so he decides to just learn a couple of the simplest signs and even if it doesn't make sense it will at least show people that he can communicate. The phrase he learns is "goodbye zipper." He goes to a park and dashes out in front of some women and signs "goodbye zipper" repeatedly and violently, squeaking loudly to punctuate his effort. This is followed by a great deal of screaming and a whack from a stick, leaving Firmin injured. "Goodbye zipper" became shorthand for communicating and he occasionally would say that he had met someone who didn't seem especially friendly so he didn't bother saying goodbye zipper. Somehow I found this all very adorable and heartbreaking at the same time. Early in the book Firmin says "If there is one thing a literary education is good for it is to fill you with a sense of doom." Firmin's story is certainly short and filled with heartache, yet it is told incredibly well and despite the sadness it's one of the very few books I will re-read. This was my second time, but surely not my last. Sam Savage writes so consistently well I wish he was better known and admired. His books are unusual, which may be why he's less popular, but also why I count him among my very favorite writers. This strange novel is a book within a book, and within the inner book is a documentary. The subject of the documentary is a house that's bigger on the inside, and the story of one family who was unfortunate enough to move into the house. But maybe I should back up a bit. The story is about a guy named Johnny Truant who stumbles upon an immense collection of writings by a dead guy named Zampano who was writing a book about a documentary called The Navidson Record. As Johnny puts together all the bits of writing, along with footnotes, appendices, and other periphery material he is drawn into a dark descent paralleling the Navidson family who made a documentary about their strange and otherworldly house. Are you confused yet? If not, then I'm not describing this accurately, but that's the best I can do. 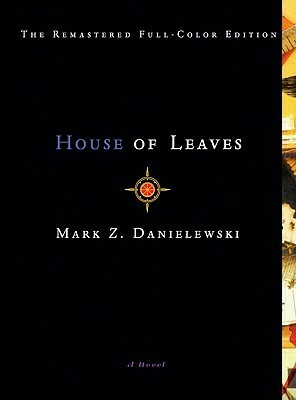 House of Leaves has been on my to-read list for years. It's not widely known but has a cult following and every now and then I'll read some mention of it or see it listed among somebody's favorite horror novels. I'm glad I finally got to it, though I didn't find it as earth-shattering as some people have. Because the bulk of the book is describing a documentary it seems in a way more real. It's an interesting device. On the other hand, because Karen and Will Navidson are just characters in a documentary that is being described, they remain distant. Also contributing to this are the many extensive footnotes and quotes from scholarly sources (which of course are fake.) Again, it makes it seem more real in a way, but distant and clinical, so it wasn't as scary as if you were hearing the story first hand and had access to the characters' thoughts. Although my edition is 700 pages, the main part is really only about 530. The rest is appendices (and even an index, which I actually used at least once) and I read some of the material in the appendices but not all. There's a lengthy selection of letters to Johnny Truant from his mother, which I mostly read, and a lot of poetry that I skipped, mostly because I don't know why it's there or who supposedly wrote it. Of that 530 pages, a lot of it is taken up by footnotes, or weirdness like mostly blank pages with just a few words in the center. Or not the center. The text is frequently arranged quite creatively. I sort of liked that, though I'm not sure I understand the significance of those arrangements. It was the footnotes and quotes from scholarly sources (or celebrities) that made it start feeling very encumbered. All the extraneous matter serves to illustrate how much The Navidson Record became a part of popular and academic culture, but reading through it was sometimes cumbersome. I think you could skip most of that and just read the main text and just the footnotes that make up Johnny Truant's story, which is almost a novel in itself. I'm glad I finally read House of Leaves, but it didn't quite live up to the hype for me. I kept hearing that it was terrifying, but didn't find it so. Conceptually, it is creepy and mysterious, but the devices Danielewski used to make the story more believable lessened the potential to be scary to me. The last time I posted about my Humboldt Raglan, I had begun a sleeve, panicked, and shoved it all in a bag. Finally I decided I needed to bring it out and deal with it because like it or not, cold weather is approaching and I want to be ready. My concerns were twofold. First, I was afraid I might run out of yarn. There's nothing to do in this instance except keep knitting. Second and more importantly, I had begun a series of increases and I needed to do a little math to figure out how to space them. The instructions said to increase ever 8th row. Of course when one's row gauge is off (which is pretty much always) you need to adjust that somewhat if you want them to be spaced properly. It was mostly this math that was preventing me from picking up the sleeve again. Finally I decided I needed to grow up and deal with things, so I pulled out the sleeve, got a measuring tape, pencil, and scrap paper and measured my gauge. Which turned out to be spot on. All that procrastination for no reason! My sleeve became my bus knitting and I powered through it in no time and have even begun the second sleeve. The sleeves are three-quarter, so are fairly short. I'd actually like to make them longer as I'm afraid this length might feel a little annoying, but of course I have concerns about yarn quantities. I'm less concerned about that now that I realize how little yarn each sleeve uses. I think the rest of this project will go pretty quickly. Poor little Biscuit has succumbed to a respiratory illness yesterday. I'm not sure how old he was, maybe around two years. I've had him and Nibbles for about a year and a half. Here's the best recent photo I could find. I'm sad that Biscuit is no longer here, and trying to spend extra time with Nibbles since he's all alone now. Rats are super social and can get quite stressed when they're by themselves. Nibbles and I will both miss little Biscuit. A mother and two teenage children prepare for the man of the house to return from a business trip. 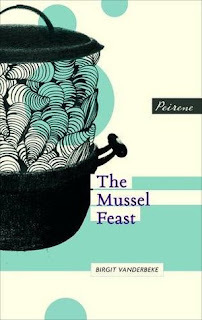 They prepare a feast of mussels, scrubbing them in the bathtub and putting them in a huge pot to boil. The evening gets later and later and still he does not arrive home. Narrated by the teenage daughter, this brief novella recounts complicated family dynamics as they sit around the table drinking wine and talking on what has turned out to be a very unusual evening. "I don't think we ever ate with a knife and fork when my father was away. We let our hair down while you were away, Mum said when my father asked, what did you get up to without me; it's really nice to let your hair down a bit sometimes, Mum continued slightly wistfully, because she had as much fun as we did and less work, too, when we were alone with her." At first, we learn how important it is to the father that he have a "proper family" and the way his family attempts to conform. The mother slips into "wifey mode" when her husband comes home from work, being agreeable and accommodating. Gradually we learn just how strict and controlling he is with his family and just how much of a relief it is when he is not there. As the family sits over their ruined meal, drinking wine and talking, they become bold in their criticism and start to feel how much better off they would be without him. Indeed, after a brief period of worry, they seem not to care whether he ever arrives home or not. After ordering this book (and paying international shipping, because it's not available in the US) I worried that it might be dry and literary. But I was pleasantly surprised that it is just exactly the sort of book I like. I could see myself reading it again because at just 105 pages it's a very small investment of time for a great deal of enjoyment. 1943. Outside of a small Italian village, the Rosati family goes about their daily lives as war rages on not far away. When two soldiers arrive wanting to see an ancient Etruscan tomb site nearby, their isolation from the war is suddenly, irrevocably shattered. 1955. Francesca Rosati has been murdered at her vanity, her heart ripped from her chest. Investigator Serafina Bettini is soon convinced the reason the Rosati family is targeted is somehow related to the war. As she delves into their history, it begins to converge with her own, awakening long-buried memories. Moving back and forth between the two time periods, the story is filled with moral ambiguity and highlights the choices people are forced to make in times of war, and the sometimes catastrophic repercussions. Most notable is the relationship between the Italians and Germans, ostensibly allies but their relationship fraught with tension, including partisans fighting openly against German occupation. On a smaller scale, similar tensions formed in the Rosati family as eighteen-year-old Christina falls in love with a German soldier. Cristina and Serafina are the primary characters, though not necessarily the most interesting ones to me. Serafina was terribly scarred from her time fighting with a band of partisans during the war, her disfigurements alluded to almost constantly, her story slowly revealed through the novel. Cristina's was a coming-of-age story, her loss of innocence fairly typical of war stories, but even darker because of her family's relationship with the Nazis. But the story that most interested me was that of Francesca Rosati, murdered in the opening pages of the novel. A Rosati only by marriage, she arguably lost more during the war than any of the other surviving family members. But what I liked most about her was that she was such an imperfect character in ways that made her seem more real than any other person in the book. Her personality grated, even before the wartime losses, and she was not a very well-liked person. However, it wasn't because of any real flaw in her character, more of an abrasive stand-offishness that only increased after the war. I felt bad for Francesca who was undeservedly punished more than anyone in the Rosati family and she wasn't even really one of them. I had a tough time getting into this book at first, a combination of the languorous pacing and my resistance to reading more WWII-era literature. I just feel like I've read so many stories set in that period. But amazingly, authors keep finding unique stories to tell about that war (see also Code Name Verity.) About halfway through it picked up a lot and I became quite engrossed. This troubled relationship between the Italians and Germans is one I haven't seen explored much in fiction before, and telling it through the experiences of the Rosati family was mostly successful. The mystery of who is killing the Rosatis felt somehow less important than the story surrounding it, even though it was directly related. 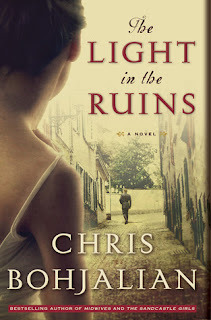 Although I didn't love it as much as last summer's The Sandcastle Girls, I found The Light in the Ruins ultimately a strong historical novel. My Openwork Rib socks are finished and ready for wearing! They feel great - or as great as wool socks can feel in August. I wish I had a closeup of the textured pattern, but it is extremely difficult to photograph one's own feet, and it's impossible to get close enough for that level of detail. This may just be a sign I need to start going to yoga again. My knitting has really fallen off recently. I realize it's not the most summery activity, but I usually keep it up all year round. This has just been a strange summer in which life has been getting in the way of a lot of things. Stop it, life! I have other things to do than just trying to cope with you. Disclaimer: I've known Dorie for probably 15 years now, and I've always found her smart and insightful. She's exactly the sort of person that people go to for advice, so I'm glad she's compiled it in this new book. Reinventing You is for anyone who wants to make a career transition - a promotion, a new job, or a complete change to a different field. It can be difficult to compete even when your experience closely mirrors the position advertised, but what if your background is unusual or in a different field? In a series of clear, concise steps Clark describes the best way to leverage your strengths, build a narrative, and present yourself in the best light. Organized in a linear way, each chapter represents a step on your way to your new professional image. The writing is conversational and succinct, with just enough real-world examples to illustrate the point at hand. Each chapter begins with a list of objectives and ends with a bulleted summary, which I appreciate in a book of advice because it's easy to go back and skim for salient points without having to reread it entirely. Because she sticks to the point, it's a pretty quick book to read, ideal for some who is making a career transition - you need to leave yourself time to focus on the real work ahead of you. 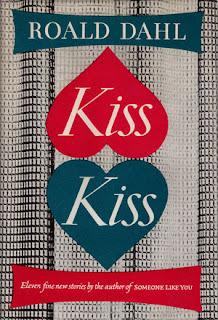 What sort of advice will you get from this book? 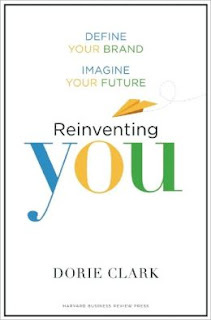 The first chapter "Recognize Where You're Starting" advises an evaluation of your current professional brand. (You have one, even if it's not intentional.) This includes activities like examining your online presence and creating a focus group of friends and colleagues to learn more about how you are viewed by others. A "Try This" sidebar in "Research Your Destination" suggests making of list of people you think are doing the most interesting things, identifying what they have in common, and brainstorming goals for yourself based on those commonalities. In "Test-Drive Your Path" you will find suggestions on trying out a new direction before making a commitment, like volunteering, job shadowing, or joining a board to gain experience. The chapter "Developing the Skills You Need" contains, among other things, a discussion on when it's worth it (and when it's not) to go back to school. These are just a few examples pulled from what is a pretty comprehensive step-by-step guide to career improvement. I don't read a lot of books of this type, so I can't adequately compare it to others on the topic. But as someone who has spent a great deal of time job hunting in a competitive market, I appreciate the author's thoughtful analysis and found her advice incredibly helpful. Though much of the book uses the language of business, I found it just as applicable to those of us who work for in the non-profit sector. Anybody trying to improve their career would do well to take this advice. Each of the eleven stories making up this collection is more dark and strange than the last. A young man searching for lodgings is inexplicably drawn to a house with a suspiciously welcoming landlady. A widow is handed a letter from her recently-deceased husband suggesting that he may not be completely gone after all. An anxious woman whose husband has pushed her buttons too many times finally takes control of the situation. It doesn't do at all to try and describe these stories - I have to be deliberately vague because so many have surprise endings and I don't want to ruin them. Some are dark in a creepy way, others just explore the more sly or greedy part of the characters' personalities (and they usually get their comeuppance.) Some contain elements of the supernatural, while others rely only on human nature to horrify. Dahl's style is clear, straightforward, and light but the content is none of those things. He provides just enough detail to set the stage and what he doesn't say is often just as important as what he does. I wouldn't ever have know about this collection if it weren't for Simon Savidge's review. I've grown more interested in short stories recently and last week when I was looking for some, this was luckily available at my library. Our edition has this fantastic old-school cover that I just love. Every story in this collection was satisfying, and I positively burnt through it. A young man approaches William Monk, frantic because his fiance has been missing after suddenly fleeing a garden party without warning. Guests saw her leave in a carriage and when the coachman is found murdered, all eyes turn to the bride-to-be. But when Miriam Gardner is found, she won't say a word about why she left the party, or who killed the coachman. It is up to William Monk, with help from his wife Hester, to get to the bottom of the mystery. As with the other books in this series, there are apparently disparate plotlines that come together later in the book. While the main mystery is happening, Hester is investigating the theft of some medicines at the hospital where she is a volunteer. As I predicted, that story began to converge with the murder but not in the way I thought it would. This is the first book in this series that I was tempted to give a two-star review on Goodreads. I was frustrated because Miriam Gardner clearly knew the answers Monk and the police were looking for, and simply wouldn't tell them. Usually things are a mystery because the only person who really knows what happened and is still alive is the person who has committed the crime. Here, there is an innocent witness who refuses to speak and I didn't quite buy it. There are ways to get delicate Victorian ladies to speak is all I'm saying. However, in the end during the trial when the truth came out - as it always does - it was so deliciously scandalous it was completely worth it. So, three stars it is. Monk and Hester are now married, and that added an extra layer to the narrative as they both struggled to navigate this unfamiliar territory. Neither are used to having to answer to anyone, and it causes a bit of a strain, though clearly their affection outweighs the compromises they must make. Another point of interest was Hester's fight to gain respect for nurses, especially difficult when one of them seems to be stealing medicines, presumably for nefarious reasons. Hester concedes that many of the stereotypes of nurses are well founded, and points out that it doesn't help that part of their compensation is beer. When I first received this audiobook from the library I was disappointed to find a male narrator, because I was hoping for Davina Porter, who narrated the first books in the series. But Hardiman was certainly up to the task and I came to find his voice comforting and enjoyable to listen to. I seemingly never tire of this series, regardless of how I experience it. In this new novel by the author of Half of a Yellow Sun, a woman named Ifemelu is preparing to return to Nigeria after more than a decade in the U.S. She had left behind her first love, Obinze, and she contacts him to let him know she will be returning. Obinze also left Nigeria at one point, for England, and now he is back in his native country, married and with a child. But he has never forgotten Ifemelu, nor she him. In the U.S. Ifemelu has had her own relationships, including the one she is ending to move back to Nigeria. She has become well-known through her blog Raceteenth or Various Observations About American Blacks (Those Formerly Known as Negroes) by a Non-American Black. The story moves back and forth between present day and the time before Ifemelu left, and from continent to continent. As the novel begins, Ifemelu is driving from Princeton to Trenton, NJ to have her hair done at the only place around that does African hair braiding. Hair is an oft-visited political theme in the story and effectively illustrates many of Ifemelu's identity struggles. One point she returns to again and again is the difference between Africans and African-Americans. She says, "When you make the choice to come to America, you become black." Until that point she was only Nigerian, but in America she is suddenly classified as black and grouped with people whose experiences are very different from hers. She didn't know the stereotypes or the political nuances of race in the United States and found times when she was "supposed to" be offended but wasn't. It's really fascinating. 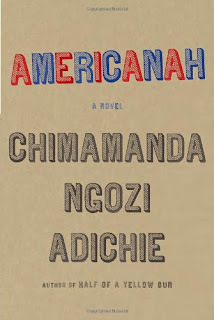 Adichie's observations about American life were spot-on without being too critical. Ifemelu had a fascinating conversation with her friend Ginika soon after arriving about the nuances of referring to someone as "thin" versus "slim" and "half-caste" versus "biracial" and how the connotations are different here in the U.S. than how they are perceived in Nigeria. Other characters discuss how everything in America requires a diagnosis, one character remarking: "Everybody is conflicted, identity this, identity that. Somebody will commit murder and say it is because his mother did not hug him when he was three years old." Later when Ifemelu returns to Africa, she is unable to just pick up where she left off. America has changed her. She has different tastes and has become used to a different lifestyle, making integration in her homeland tougher than she anticipated. She befriends a coworker who has also recently returned from the U.S. and they bond over their shared experiences, even going so far as to make fun of how Nigerians talk. There was much to love even aside from the observations about race and immigration. I loved Ifemelu and Obinze and the other characters, and thought that Adichie did a wonderful job of fleshing them out and making them seem real. Additionally, she added many details that made the story seem so very present (as with Half of a Yellow Sun). There's a scene near the end that takes place in Nigeria, in which Ifemelu and Obinze stop at a roadside hawker to buy plantains and something about that scene was incredibly transportive. Have you ever been to another country and noticed how even the smells and sounds and lights are somehow different and strange but exciting? That's kind of what that scene was like. Adichie writes many scenes that feel vivid and immediate like that. 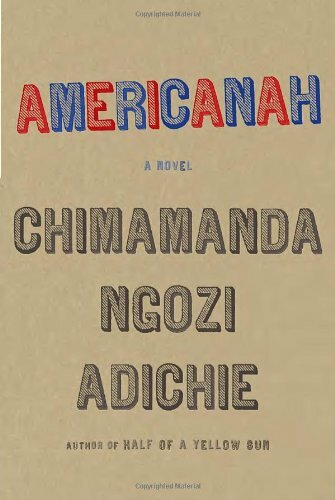 Some reviews found Americanah a bit too polished, and I guess I can see what they mean, but I still enjoyed it immensely. No, it's not like Half of a Yellow Sun, but it can't be - this isn't a war-torn setting, there's no death or destruction. Yellow Sun was pretty raw and dramatic, but it was about war and Americanah is simply a different sort of book. Coming in at close to 500 pages, I think it could have been a bit shorter but I didn't struggle to get through it at all. I couldn't put it down, and read it in just a few days. There's a lot to discuss about it, and many passages I thought were especially clever. What a great choice it would be for a book group.